Electrolux and their celebrity spokesmom, Kelly Ripa, are asking you to celebrate Valentine's Day with cupcakes this year. 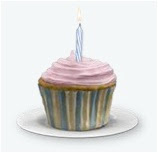 All month long, you can create personalized virtual cupcakes on the Electrolux "Kelly Confidential" mini-site and send them to your friends and family. Electrolux will donate $1 for each virtual cupcake sent to the Ovarian Cancer Research Fund (OCRF) as part of their half million dollar commitment to help support the search for a cure. Kelly Ripa also designed the limited edition "Wear Your Heart on Your Sleeve" T-shirt (seen on Kelly in the first photo above) available at the Electrolux Kelly Confidential mini-site, with all proceeds going directly to the OCRF. It would make a nice Valentine's Day gift for friends or family… or yourself! That sounds great, and an easy way to help. And I think Kelly Ripa is precious. P.S. 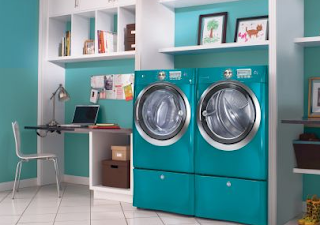 Dreaming of a gorgeous washer and dryer doesn't make you sound old at all. Awesome campaign. I would settle for cupcakes, I am easy that way.